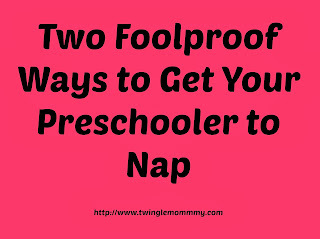 Oh nap time, you are a parent's best friend! In the beginning naps are spent sleeping or finally getting something to eat after putting your baby's needs first all morning. As your kids get older, nap time becomes a magical time of the day when you can get things done. For those of us who work from home (me) that is when you can actually get some work done. But then something horrible happens. Something so downright wrong that it makes new mothers quake in fear of the day it happens to them. They should be afraid too! It happens to all of us and yes it is just as awful as you can imagine. The kids stop napping! Yes, your kids will reach an age when napping becomes a distant memory and so rare that you will cheer and jump for joy when your kids actually takes one. This activity will be conducted at museum level volume of course since you can't chance waking the kid up. This time frame of parenting is known as the preschool years. 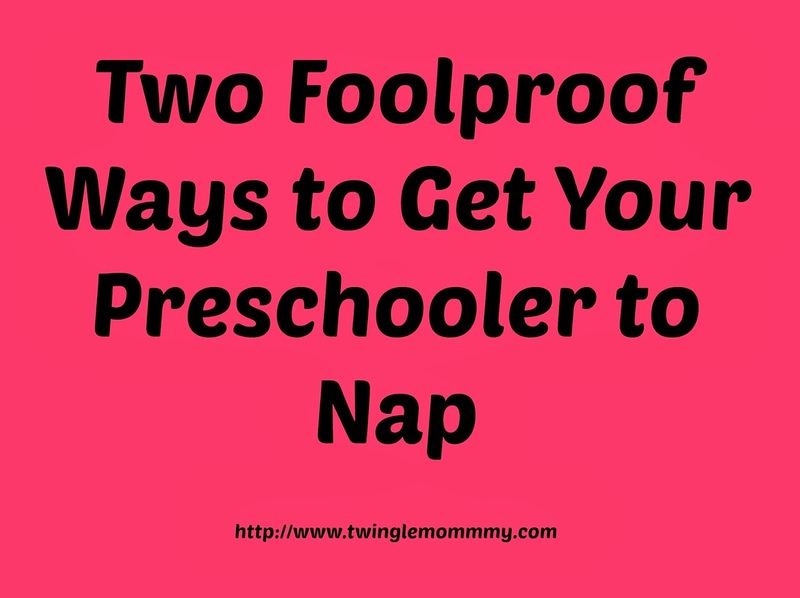 The dreaded time when kids need a nap to function at 5pm but do not want to take that nap. It's an age old battle between parents and kids. In my house Mark is winning! This is what goes down at nap time in my house. I put my twins down for a nap. Molly falls asleep within minutes while Mark tests my unconditional love for him. There are only two ways I can actually get my son to sleep. One is to sit in the hallway so he can't move without alerting me. I keep the door cracked open so he knows I'm there. It's worth the effort but the floor is hard and cold so I'm not willing to do it everyday. I have reached the age where sitting on a hard cold seat is only worth it at a football or baseball game while drinking a beer. The other way I can get him to nap is to make him sit on the couch while I blog with no TV or anything to play with and after a few minutes he falls asleep. I may have stumbled onto this napping method out of pure desperation and a level of frustration that I didn't know I was capable of. Translation - I was so pissed off one day I made him sit on the couch next to me and told him that he couldn't move a muscle. The little brat was asleep in 5 minutes! They're so cure once they're asleep. It just occurred to me that some of my best and worst parenting moments have come out of moments of pure desperation. Yea lets not dwell on that one for too long, future Allison can address that issue. This is how I get my preschooler to nap everyday now. I would be ashamed but nap time is my biggest block of work time. I have no idea how full time work at home moms get anything done. Part time work is all that I can handle! I feel confident recommending either of these options for you to try on your little non-napper. Although you may find the couch option annoying since it means no TV or phone time. That's why I'm willing to hit the floor at least once a week. On weekends I make Brett get him to sleep. Why should mommy enjoy all the misery? The nap is the only place my girls will nap. As long as they do it, I don't care where they do it! And LOL about only wanting to sit on a hard, cold seat while watching a game and drinking beer. Totally with you on that!